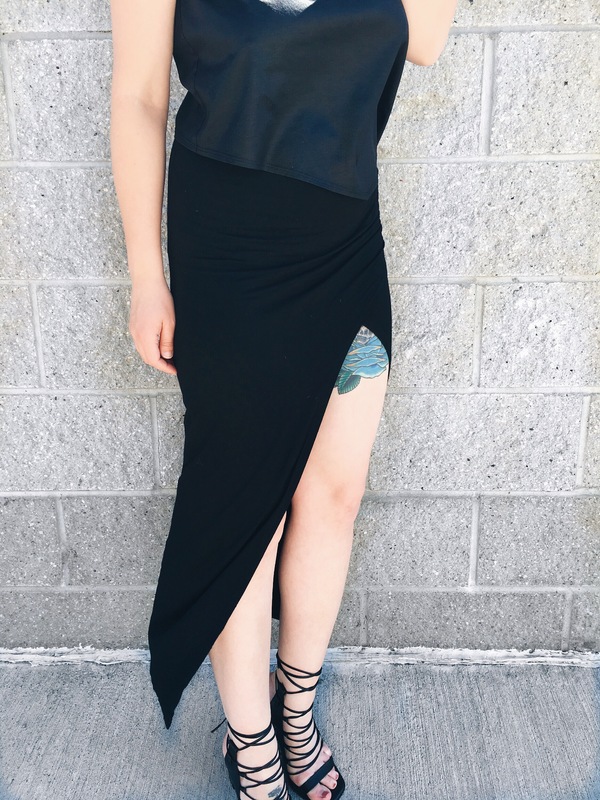 The slit skirts and dresses are trending right now. 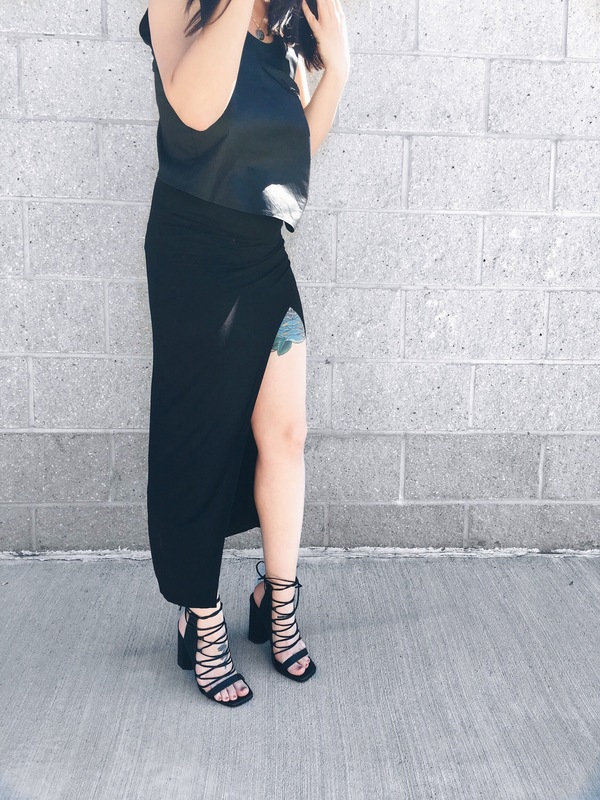 I based my outfit around this skirt I purchased from Nordstrom that I love and have posted before on my previous blog. This Helmut Lang crop top worked perfectly with this look. The diagonal cut in the front and how it falls on the body really adds structure that the outfit needs. The top also has this cool wrap design in the back, it just fits so well with the my wrap theme. This is my first time wearing the Niala I by Senso and I’m in love. The height of the shoe to the non traditional geometric shape of the heel, makes this my go to lace up sandal. I definitely want to show you more ways to wear this shoe especially since I shot these photos on a slant, which you can’t tell, but maybe a few squished toes trying to hold myself up. All you other bloggers know the pain we go through for that perfect shot. This is my first shoe from Senso and I will be purchasing more shoes in the future. I need to move to Australia! They have the best brands. I usually get random pieces and somehow put my outfits together, whether I’m binge-wearing my new purchase or same old jeans for the 40th time!